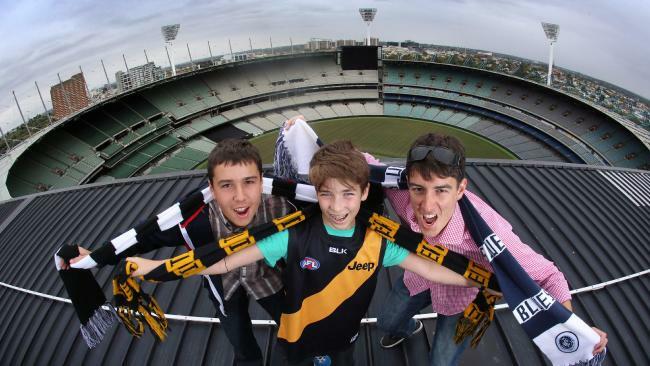 It was announced in February 2016 that a $2.55 million skywalk will be built on the MCG. Fans will be able to climb up to 70m above the home of sport to take in breathtaking views of the iconic ground, Melbourne's world-class sporting precinct and the city skyline for the first time. It has also been announced that a zip-line is in planning that would take thrill-seekers from the city-end scoreboard to the other side of the stadium on Punt Road. The total cost of the project is expected to top $2.55 million but has won $650,000 of Federal Government funding. The rooftop walk will be similar to Sydney's Harbour Bridge Climb which has seen more than three million people harnessed to the famous landmark to take in breathtaking views from above. Sports Minister John Eren said a walk around the top of the 'world renowned, best stadium in the nation'' could be even better. He suggested building the skywalk would start in 2016 and take roughly 12 months. More information here as it comes to hand.